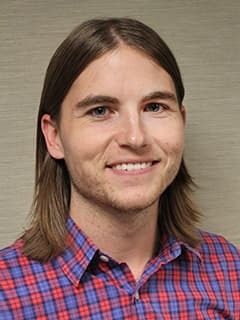 Gideon Stitt, PharmD, BCPPS, is a residency preceptor with the Pharmacy Residency Program and a clinical specialist in Pediatric Critical Care at Children's Hospital of Philadelphia. Stitt G, Morris J, Schmees L, Angelo J, Ackan Arikan A. Cefepime Pharmacokinetics in Critically Ill Pediatric Patients Receiving CRRT (abstract). Critical Care Medicine. 2018;46(1):426. Stitt G, Morris J, Schmees L, Angelo J, Ackan Arikan A. Meropenem Pharmacokinetics in Critically Ill Pediatric Patients Receiving CRRT (abstract). Critical Care Medicine. 2018;46(1):427. Moffet BS, Kam C, Galati M, Stitt G, et al. The "Ideal" Body Weight for Pediatric Gentamicin Dosing in the Era of Obesity: A Population Pharmacokinetic Analysis. Therapeutic Drug Monitoring. 2018;40(3):322-329. Kubiak S, Stitt G, Jones S, et al., Improving the Quality of Once Daily Tobramycin Therapeutic Drug Monitoring in Cystic Fibrosis. Poster session presented at: 30th Annual North American Cystic Fibrosis Conference; October 2016: Orlando, FL.